Exclusive! 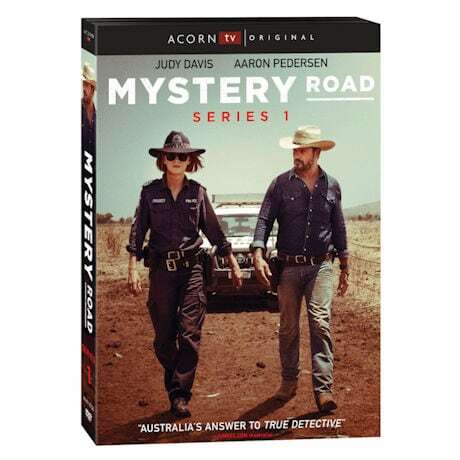 Two-time Oscar® nominee Judy Davis (Feud) and award-winning actor Aaron Pedersen (Jack Irish, A Place to Call Home) star in this atmospheric crime set in the Australian outback. When two boys go missing from a cattle station, Detective Jay Swan (Pedersen) teams up with local cop Emma James (Davis) to investigate. But solving the mystery could expose other crimes that will threaten the entire community. 6 episodes, 5 hrs, 2 DVDs or Blu-ray discs, SDH. Mature audiences. 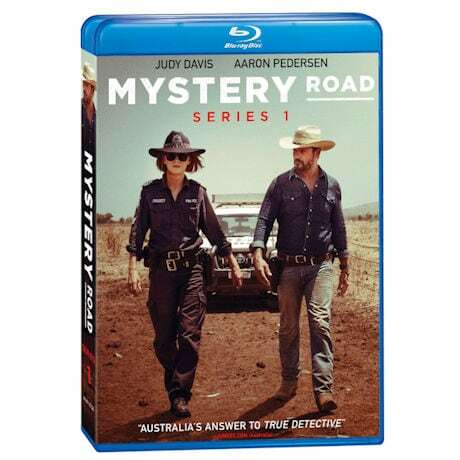 When a truck is found abandoned in an outback cattle station, Senior Sergeant Emma James calls in Detective Jay Swan to investigate what happened to Marley, the driver. CCTV footage shows that Marley was with Reese, a backpacker recently fired from the station, who is also missing. Marley's uncle, Larry, is released from prison, but the town is less than enthusiastic to receive him back. Jay and Emma investigate whose blood they found on the road, then Reese's girlfriend, Georgia, arrives in town and gives the police information about him. After a confrontation between Georgia and Shevorne, who both claim to be Reese's girlfriend, pressure builds on Shevorne to tell the police what she knows. Jay and Emma search Larry's compound and find a stash of drugs, while Jay's daughter, Crystal, gets a job with the local rodeo. Now home safe, Marley claims to have no idea where Reese is, but Jay and Emma doubt his story. Crystal argues with her mother, Mary, about staying in town, and Mary takes out her frustrations at the bar. When Reese's body turns up, Emma is forced to charge Marley with his murder, but Jay doesn't believe he did it. Reese's mother asks to put up a memorial at Black Springs where Reese was found, prompting Emma to research that part of her family's land. After Marley confesses what he knows, Jay hides him to ensure his safety. Emma confronts her brother about the land deal, while Jay tries to find out what really happened to Shevorne.